Phở lovers rejoice! Bangkok Taste Cuisine has arrived on the scene to finally fill the woefully phở-less void in downtown Grand Rapids. Located at 15 Jefferson SE (the former home of Bobby J’s Downtown and the much-missed My Video Shoppe), Bangkok Taste Cuisine is the second area restaurant for Mai Kue and family which opened the first incredibly well-regarded Bangkok Taste Cusine in Jenison just over six years ago. 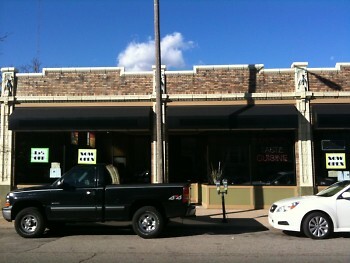 It is the third Thai restaurant to open in the downtown area over the last few months. The new downtown location makes its mark in at least two ways. First, borrowing from the sterling reputation of its older sister restaurant in Jenison, and secondly but possibly more importantly: phở. Pronounced “fuh” (like “fuhgeddaboudit”) and commonly written “pho,” this rice noodle soup is a staple of Vietnamese cuisine that can be served in a variety of ways, usually with meat (and usually beef at that) and almost always with a side order of basil, lime, mint leaves and bean sprouts that the diner can add to taste. Like the rest of Bangkok Taste’s more traditionally Thai menu, substitutions are fine and they can easily cater to allergies. Currently Bangkok Taste serves two versions of phở: regular, served with beef and meatballs, and seafood, served with imitation crab, meatballs, and shrimp. At $8 and $9 respectively, you are paying a little more than the market rate and without the variety (some area restaurants that specialize in phở have upwards of 15 different kinds). 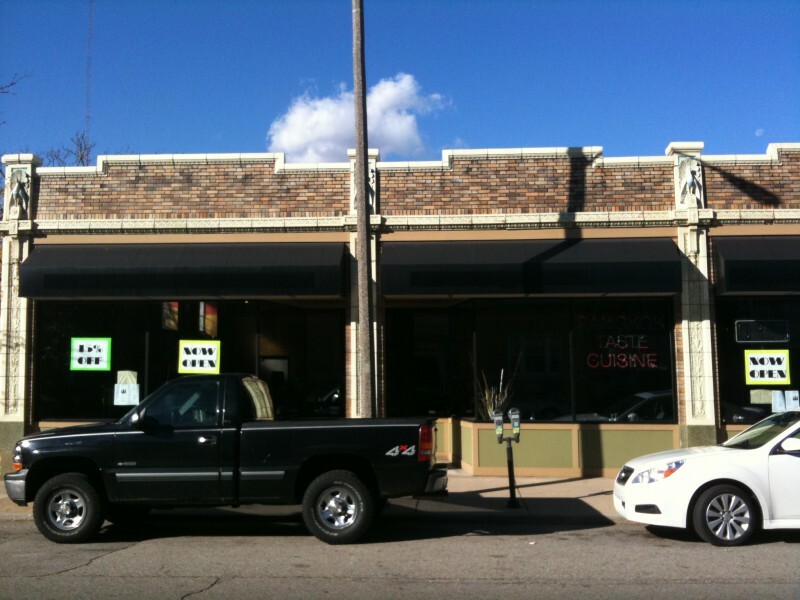 You are certainly paying for the convenience of finally being able to score this delight in downtown Grand Rapids. Though Bangkok Taste Cuisine’s new downtown location had a soft launch during ArtPrize, it celebrated its official grand opening at noon today with a ribbon cutting ceremony officiated by First Ward Commissioner Walt Gutowski and complimentary lunch. It will be open Monday through Thursday from 11 a.m. to 9 p.m., and Friday through Saturday from 11 a.m. to 10 p.m.. It is closed on Sundays. You can also find the Downtown Bangkok Taste Cuisine on Facebook. 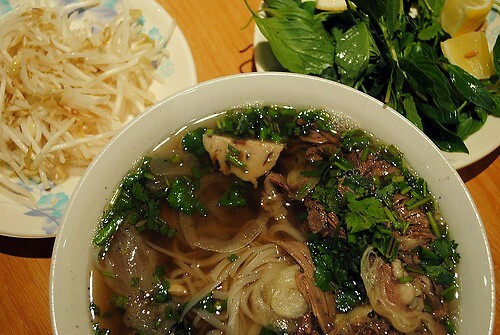 SO glad that someone finally explained how to pronounce "pho." And boohiss! They're closed on Sundays?! They appear to use the WHOLE cow, which I am more than fine with, but less adventurous eaters may be a bit put-off by. I've had it from there three times, and in addition to the sliced beef and meatballs, there is usually a healthy amount of intestine (or some organ...) and cartilidge as well. Very well-cleaned and tasty, but not for everyone. Now if there were only a place for some bún chả and bánh mì and i'd be all set. So really what I'm asking for is a full service Vietnamese place downtown!